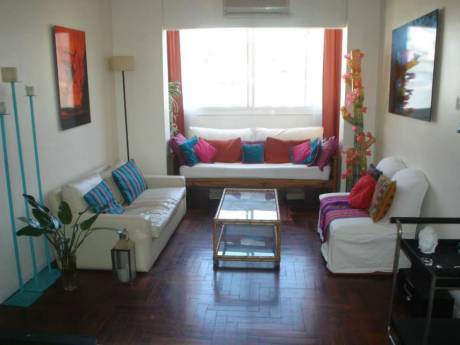 Our apartment is conveniently located in the heart of Buenos Aires. It has 2 bedrooms and 2 bathrooms (plus a small 3rd bedroom with bunkbeds) . It is in a classic French building and has been recently remodeled. It features stunning original hardwood flooring, 14 foot (4.2mt) ceilings, original mouldings and grand windows providing lots of light. Our apartment also features a spacious open plan and kitchen / living / dining room with a luxury sofa, two generous bedrooms with queen or double beds and ample storage space, air conditioning, 2 full bathrooms, and a fully equipped kitchen. It is over 1100 sq. feet (110 sq. meters). While the dining room will comfortably accommodate 6, you may feel more comfortable eating around the island, the feature of the open plan kitchen. We are a professional couple with a daughter (7) and a son (5). We enjoy traveling and living abroad. Horacio is from Argentina, where we have our second home, and Cynthia is from Canada where we currently live. 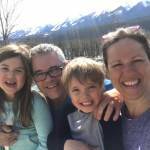 We regularily travel to Argentina with our children, to see the family. We have lived and worked in USA, England, Norway and other parts of Europe and South America. We love walking, exploring new places (especially cities with character), beaches, meeting people, dining out and enjoying good wine and delicious food. We have done 6 very successful home exchanges to Dubrovnik, Croatia; Amsterdam, Netherlands; Houston,Texas; Syros, Greece; SanFrancisco, USA; Sun Peaks, BC, Canada. We are open to offers to exchange with non-simultaneous dates, especially considering that our summers are reversed. Sometimes we like also to travel with Cynthia's parents. Make us an offer and tell us what is fantastic about where you live. We speak English and Spanish (hablamos Espanol). 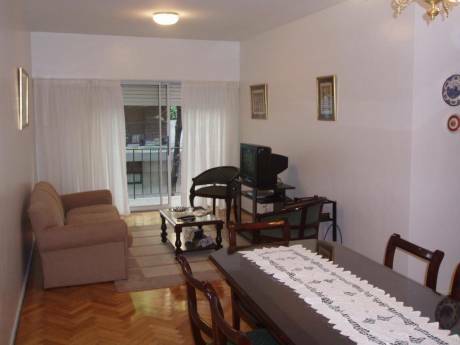 Our apartment is located on the corner of Viamonte y Junin in the upscale neighbourhood called Bario Norte, which takes it's name from it's central location in Buenos Aires. Wandering the streets in this heavily French influenced area, you will find some of the best shopping centres, leather shops, cafes, restaurants, art galleries, and parks in Buenos Aires. Just a few blocks away, lies the famous shopping street 'Avenida Santa Fe', which became the preferred venue for upscale shopping in Buenos Aires in the 1950s. 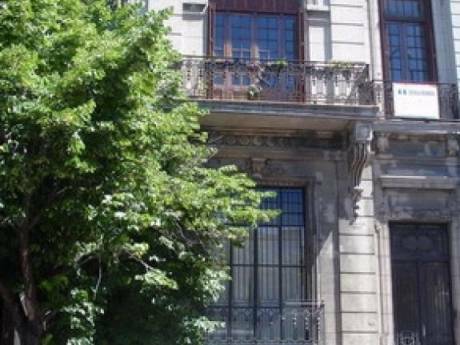 Within walking distance is the remarkable Recoleta Cemetery, Eva Peron's famous resting place, and several universities including the Faculties of Medicine and Economics. If you don't mind a longer stroll, why not enjoy Buenos Aires' beautiful sunny weather and walk to the Obelisk on your way 'dowtown' to the micro center (1-2km). Our apartment really is in a fantastic central location. If you want to explore other parts of this lively city, you are just two blocks away from Subway stations 'Facultad de Medicina' or 'Callao'. Alternatively a short taxi, bus, or subway ride will take you almost anywhere you want to go.